Apple manufacturing partner Foxconn is testing wireless charging modules intended for use in the 2017 10th anniversary iPhone, according to Nikkei. However, Nikkei's source says the feature's inclusion into the iPhone 8 is dependent on yield rates. The modules are intended for the 2017 iPhone, but it's unclear whether all 2017 iPhone models will include wireless charging or whether it'll be reserved for higher-end Plus models. In January, it was reported that Apple was exploring extended range wireless charging for the 2017 iPhone. Extended wireless charging is seen as superior to existing wireless charging solutions because it does not require the device to be as close to a charging mat or source. In February, there was speculation that Apple was working with Energous, the company behind WattUp, a wireless charging technology that uses radio waves to charge devices up to 15 feet away, on wireless charging technology. Apple has also been hiring engineers experienced in wireless charging in recent months. In May, the company hired two engineers from uBeam, a startup focused on a wireless charging technique that uses ultrasonic waves to charge electronic devices by converting those waves into electricity. The Cupertino company has also filed many patents for wireless charging technology, though it has publicly downplayed the usefulness of wireless charging, largely due to the need of a charging mat plugged into a wall. The 2017 iPhone, which is expected to feature a major redesign with a glass body and edge-to-edge OLED display that integrates a Touch ID sensor and front-facing camera, will arrive in September 2017. THIS is real wireless charging, and this is why Apple waited so long to implement a far more convenient solution, rather than just jump on the band wagon by including a "wireless" mat that you lay your phone on, which is connected by... a wire. They'll add wireless charging and no more lightning port then. I'm saying it now, and I'll come back to this post in September 2017. People are going to be equally disappointed with the new iPhone as they were with the new MacBooks. People are already calling it the "10th anniversary", iPhone 8, biggest iPhone redesign. It's okay for a rumors page to give out those names for the sake of rumors. What is not okay, is for people to fully believe those rumors, then get angry because they were disappointed of something that they thought was going to happen and never did. 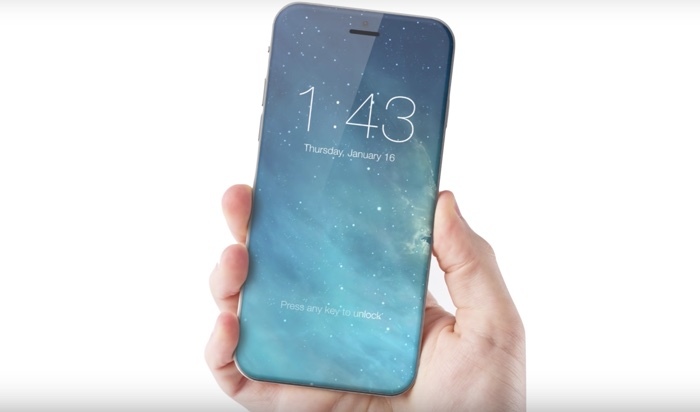 What if they go with the same iPhone 7 design and simply call it 7S? Try to take the "10th anniversary" out of people's mind then... no, they'll be too busy dooming Apple and claiming what Steve Jobs would have done as if Steve used to discuss design ideas with them personally. On a serious note, I think wireless charging will truly become usable when we have the option to install various "charging routers" around the house that emit "witricity". That way you'd be charging your phone every where around the house. Although it may be technically feasible to pull off 15 ft wireless charging, the more important issue is if it's safe to be near a transmitter that's pumping out such a high powered EMF... Or RF. Those familiar with what will be required to wifi-charge a device over the air have stated simply: "I wouldn't want to be in the same room that had that equipment operating. But we'll see. I'm not betting on this one coming to fruition. TicK tock. Waiting for my new iPhone. My 6s will be fine until then. There's good and bad to that. We don't want to be charging our phones all the time. Batteries only last so many cycles. If you're charging a lot when the phone doesn't need it (say when it's at 80%) then you're using up those cycles when it's not needed and will kill battery life in the long run. What's needed is a charging routine that only charges when needed or when the battery gets to a certain level. Otherwise you're looking at having to replace your battery yearly or even more frequently. A charge cycle is a full discharge/recharge cycle, not the number of times you bring it to full capacity. If you discharge it 10%, 10 times and recharge it each time, that's 1 cycle. "Its how much ....? " lmao I feel there was plenty of that going around on the Thursdays "Hello Again" event.